Joining a mastermind group is an incredible experience because you get to become a key part of a community of people that are just as passionate about the purpose of the group as you are. Most mastermind groups offer a range of resources and tools to help members achieve specific goals. Whether you want to start a business, attract more patients or buy your own practice, the right membership group can be a huge motivator and offer a high level of professional advice when you need it most. There was a time when I joined a mastermind group because I wanted to do more with my life. I wanted to influence more people, become a better leader, create additional income streams, gain passive income, and more importantly, I wanted to become a better version of myself. The group actively helps dentists maximize their output and productivity. I’m such a big fan of the group that I reached out to Frank Curtin, the founder of The Same Page Mastermind for a chat all about the group and how it can help dentists. 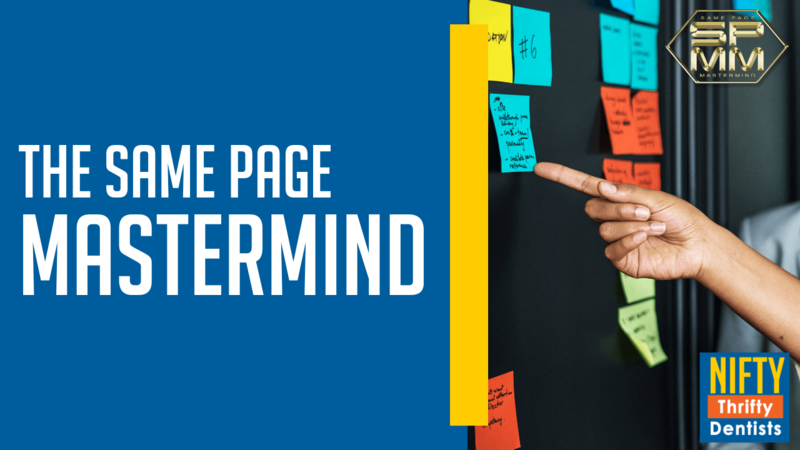 Would you like to apply to the Same Page Mastermind? The first meeting is $1500 which is fully refundable if you do not find value from the event.